These are general predictions for Libra born for 2016 based up on the Moon Sign/Ascendant, whichever is stronger in the chart, as well as on the basis of transit of other planets during the year. Specific predictions depend upon the placement and strength of planets present in the chart of an individual. These predictions will highlight the results of benefic planet Jupiter and also the adverse effect of malefic planets like Saturn, Rahu and Ketu. Precautions and few remedies are also suggested. At the beginning of year 2016, Jupiter will be transiting in the eleventh house in Leo. 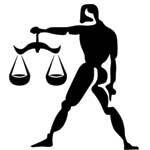 Saturn will be transiting in second house in Scorpio sign. Rahu and Ketu will enter your eleventh and fifth house in Leo and Aquarius Signs respectively from 31 Jan 2016. This year will give generally good results so far matters related to family life are concerned except some misunderstanding or temporary disturbance in relations during the month of June or July. The reason may be your harsh attitude. Situation will become normal after that and you will get the support of your family members for financial matters too. Family life will be enjoyable and supportive. Friend circle may also be helpful for offering supporting hand for extra income or starting a new venture. You should take care of the health of children. This a favorable period so far as financial and professional matters are concerned. You will be successful and get appreciation at your workplace. Support of colleagues and seniors will also be available. Promotion also appears on the card. You may be planning for some extra sources of income. You will be happy with the income derived from different channels. Period is favorable till August 2016. Heavy investment in speculation or gambling should be avoided. You should also be careful while investing in real estate or purchase of house. Some opponents may try to create problems in March. For lovers, this year will be generally giving good results. But some misunderstanding may surface in the relations during the month of February. Even then love life will be supportive. Married life will also be generally smooth during first half of the year. Health will be generally good throughout the year. Months of February and April may give some problems related to urinary system. Some of you may be planning to go abroad this year. This year will be good for students except for the month of February and December. They may find it difficult to concentrate on their studies during these months. They should not much involve in fun and enjoyment. Though financial position will remain sound throughout the year yet Jupiter transit during first half of the years ensures more favorable results. You have to work harder this year. Heavy workload may keep you tiring. You will get respect in your social circle and other relations. Rahu transit will also give good results this year. Your income sources will increase and you will happy with your progress and prosperity in life. This is a good year for monetary gains. Ketu transit this year may not give desired results. Though you will get opportunities to earn extra income yet the expenditures will be equally high. Health problems of children may be cause of concern. Diseases related to stomach should be taken care of. You are running last phase of sadhe sati which may not be considered obstructive. Transit of Saturn may sometime create rightness in financial position due to over expenditures. You should be careful in the second half of the year and avoid any such situation which may cause problems. You should also perform remedies of sadhe sati in advance as first phase of sadhe sati has started. This is generally a good year. Strength of planetary position in the natal chart can further enhance the good results. Jupiter, Ketu and Rahu are giving favorable results. Ketu transit may cause some problems regarding health of children. You should keep watch on your speech.